They'll be there for you..on Netflix. 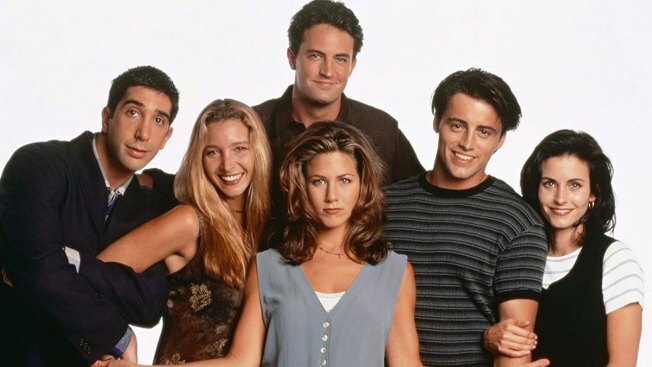 Jennifer Aniston calls it "amazing" that "Friends" still has an audience big enough to prompt multi-million dollar business deals to keep it from disappearing on Netflix. After an outcry from fans, Netflix announced earlier in the week that it was keeping the adventures of Ross, Rachel, Phoebe and Joey available to subscribers through 2019 — at a reported $100 million price tag to the streaming service. "I think it says a lot about the show. Especially since it takes place at a time where it's so different from now. You know, people actually spoke to each other and hung out with each other and talked," Aniston said. WarnerMedia owns the show, which aired on NBC for 10 years ending in 2004. It won six Emmy Awards, including a best comedy actress Emmy for Aniston. "Friends" could soon appear more places online. The Times said nothing in the Netflix deal prevented the show from appearing on a streaming service AT&T plans to launch in 2020.